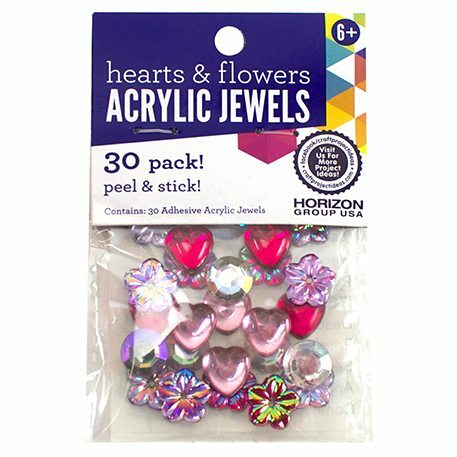 Adorn art work with acrylic jewels! Glue acrylic jewels onto masks, picture frames, clothespins, pottery, paper-crafts, magnetic buttons. No adhesive required, just peel the adhesive backing and stick right onto your project! Package contains 30 pieces.